“So, let’s pursue that peace, which shouldn’t be taken for granted, but needs our prayer, our commitment, and our actions,” the general secretary concludes. LWF General Secretary Rev. 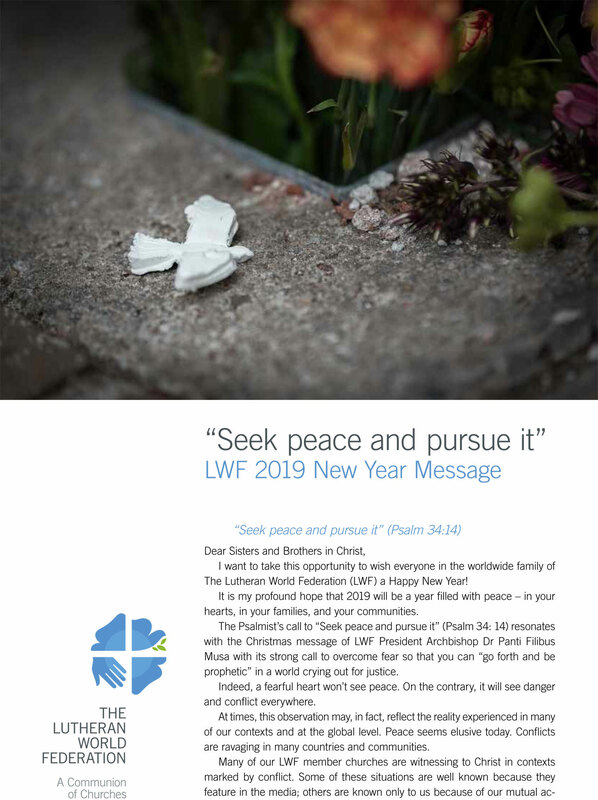 Dr Martin Junge Video New Year Message 2019: "Seek peace and pursue it"